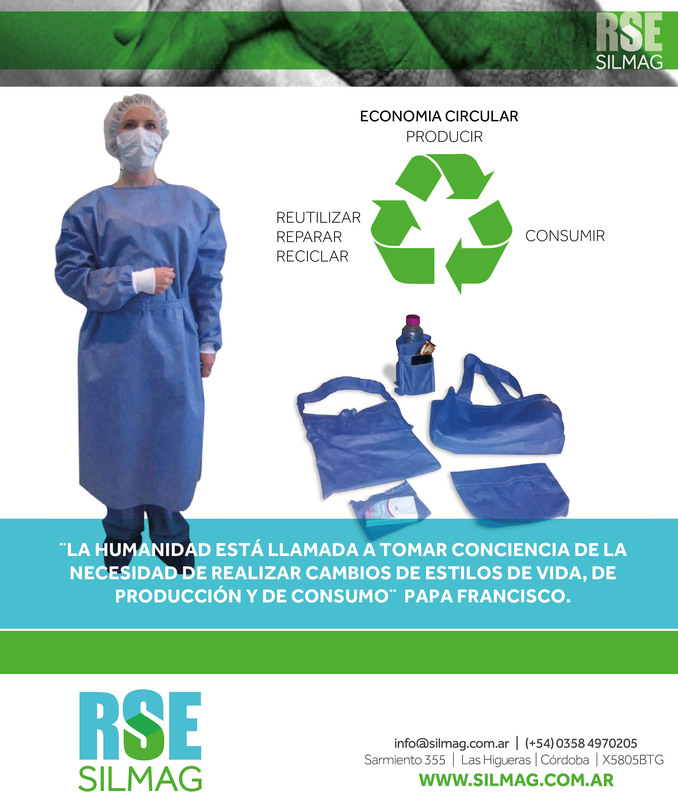 care by using ecological 100% recyclable raw materials. As part of the reutilization process, we participate in the circular economy by recycling 700 units of 40 g-vlieseline gowns worn in our Company every month. These gowns are sent to El Arca (www.elarcacordoba.com.ar) textile workshops where they are turned into a number of articles. The work is paid for using a cooperative currency administered by the institution and workers can use that currency to obtain a great variety of products from El Arca social and educational store. This generates work and promotes a culture of peace.